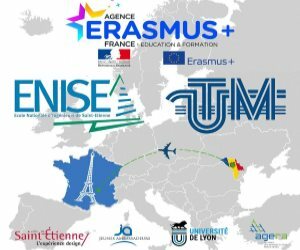 „Erasmus + has defined my studies in France as a very valuable component for my university studies but not seulemnet. I have been able to contribute to the maintenance and development of an international network in which each participant has the opportunity to share his knowledge acquired in his country of origin, to improve languages, to learn French culture and to impregnate a very rich multiculturamité Room thanks to communication with French or foreign colleagues who have benefited from the same programme as me. I have also benefited from participation in many events in which I have disseminated the experience gained under the erasmus project +. 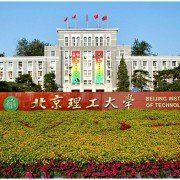 a large number of events of this kind have been organized by the association of young ambassadors, which is a network of International students guided during the project by people with extensive social and economic experience. In the context of these events, visits were made to various companies and yards in the region in which I was able to disseminate my experiences and those of my comrades in the context of erasmus+. Another exceptional event that contributed to the dissemination of information on the project was organized by agera -“alliance of the grand schools rhone alps”. this event was designed to welcome students from all over the world , to make them discover the city of Lyon and to create links between students and schools. 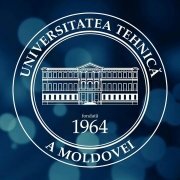 As part of a bilateral collaboration between the university of origin and the host institution, a stand was organized to present the technical university of moldova as a mobility destination for students at the national school of engineers of Saint-Étienne. Erasmus + was not only a year of my life, but a whole life lived in a year”.